Phew! This week has been a busy one lining up our first Italian TB photo and video shoot. Our shoot is today in the center of Verona. I can't wait to use the cobblestone and Italian buildings as our backdrop. Only thing I need, a water bottle and fan, its a whopping 95 degrees today, yikes! Oh and of course Heidi bird would be nice, miss her. She's holding down the home front in California this week shipping off loads of necklaces, bless her! Since our company is back and forth across the ocean, its important for Heidi and I to visually see our vision of the shoot by these mood boards since we can't always be physically together on projects. We put together these mood boards to capture the personality, look and feel we want the shoot and collection to exude. 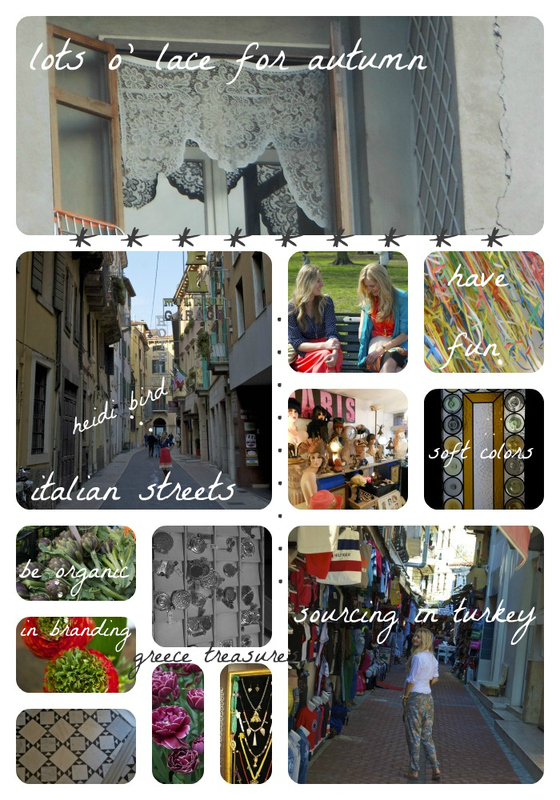 Right now our inspiration is coming in mega from Turkey, Greece and of course Italy. Excited to show you more! I CAN'T WAIT to see how those photos turn out. Stay hydrated sweets, it's hot out there. Hope it's a great day for you. 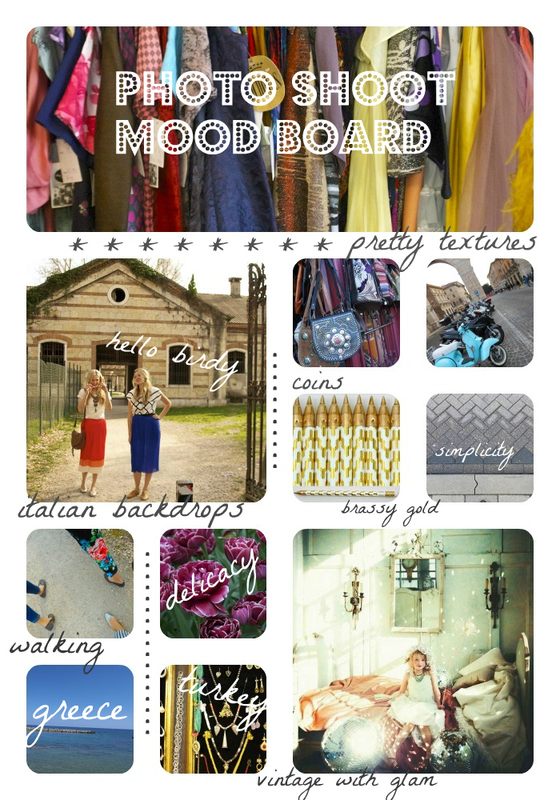 Love the mood board, takes me to a happy place...in Italy with you and Heid :). You two know how to pull things together so flawlessly! Great job! !